If you have ever been invited to a baby shower or visited the maternity ward at the hospital, you are sure to see people going gaga over babies and baby items. 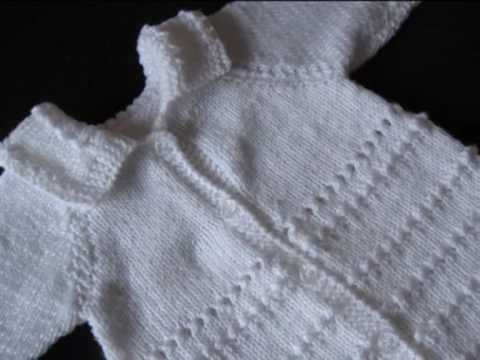 If you are in the knitting business, you can use this to your advantage to get your own knitting for baby business started. You may have seen moms drool over a gorgeous hand-knit baby blanket or home-stitched quilt or handcrafted booties. Unfortunately, in today’s society, many folks do not have the expertise or the time to make hand knitted items themselves. This is where you come in. The first thing to do is to decide what baby items you are good at and enjoy making, especially since you will likely be making a lot of them. This might be knitted baby blankets or booties, hand embroidered onesies, pacifier clips or any other random baby accessory that you can think of to personalize. You will want to decide if you are going to have stock items for people to choose from, do all personalized orders, or a combination of both. Depending on what you decide, you will want to get a stockpile of materials ready. Pastel colors are generally very popular for baby items, so stock up on thread or yarn and other supplies in these colors. Pink and baby blue are probably the winners every time, but light yellows, greens, and purples can also be very popular. If you plan on doing customer orders, you may need some bolder colors as well, in case your customers want to match a color in the nursery. You will also want to go ahead and get any knitting patterns, needles, and other supplies that you will need. Next, make a few sample products that you can use to show folks your wares. This is going to be the best way to get the word out about your new knitting for baby business. If you have a baby of your own, make sure he or she wears your items whenever you go out. You should also carry a handful of business cards with you. Anytime someone admires your little one, you can hand them a card. Use your wares as baby gifts and attach a business card. Ask people who enjoy your products to recommend you to their friends. There are also other ways to advertise as well. Shopping websites like eBay get many visitors a day. You can take out an ad in one or more of the multitude of baby magazines available. Find out about new mom groups in your area since some allow guest speakers to come in and display items. Ask doctor offices or pediatrician offices if you can put a flier or business card in their new mom bags. Attend craft shows and baby fairs in your area. Remember that anyone can be a future client even if they do not have children of their own. Chances are they will need a baby gift at some point for the baby of a friend, niece, daughter, or even a co-worker. You will also need to consider where and when you will work. When working from home, it is often most helpful to have an office-type area set up where you can focus solely on your business. Having your own area will also allow you to organize various projects that you are working on and any paperwork that you need. Once you have everything set up, you are ready to launch your knitting for baby business. Remember that part of the joy of working from home is that you enjoy it, so have fun! With a little time, effort, and focus you will have a booming knitting for baby business in no time at all.